Games are the lifeblood of a console, I think that's something we can all agree upon. Without the games, consoles would be nothing more than glorified Roku boxes, and that's one world I don't want to live in. Luckily, Microsoft has recommitted to games on the Xbox One after a few missteps into other categories like music, movies, and so on. Yes, those things are nice, but we still want a game console. So that being said, it's important to examine the playing field and see where various franchises are going. It's almost impossible to predict what will be here in ten years, but there are some franchises in limbo, some that seem immortal, and others that are slowly fading from our minds. Take all of that and throw independent or "indie" games into the blender and you've got yourself a soup worth dissecting! Wow, that's an odd metaphor, why don't we lead in with something a little less creepy. Let's start by looking at the types of games we'll see on Xbox One X/Xbox Two. There was a time when Microsoft was seemingly moving towards a more multimedia-focused future for the Xbox. The E3 presentations they had for a few years spent a lot of time talking about various television apps and connected streaming services. Needless to say, gamers were concerned. When Phil Spencer took over as the boss of Microsoft's Xbox division, he brought the focus back to games. Prior to E3 2015, he went on Twitter and confirmed that his approach is to focus on first-party titles and ultimately on the games themselves, because that's where the long-term success lies. This trend continued at E3 2016 when Phil Spencer kept his promise of focusing on the games. At this same conference, Phil Spencer also announced Xbox One X (Xbox 2), and offered some insight into the future of gaming. The new console's approach and specs offer a glimpse at what Microsoft is planning. We can also combine this with Microsoft's new Play Anywhere program that allows people to play first-party titles on both Xbox One and PC when they purchase a console copy of the game. Taking these two things into account, let's look at the potential games we could see in the future. Let's take a look at each category and what we can expect from Microsoft when the Xbox 2 releases. Starting with Microsoft's in-house games, this is where Phil Spencer believes Xbox's success lies. In 2015, Phil Spencer spoke with Rob Crossley on GameSpot and they discussed this renewed focus on exclusive titles. Microsoft has been focusing on new franchises (also known as IP), which is a bold move, but it's paid off for the most part. There was also discussion in the interview surrounding the fact that many of the new games were third-person action games. Phil Spencer said that third-person games were easily recognizable and great vehicles for telling diverse types of stories. In 2016, Microsoft is still focusing on games, but they have less exclusives than Sony's console does. Even so, franchises like Gears of War, Halo, Forza, and new properties like Quantum Break and Scalebound are all moving forward. Given the current playing field, it's clear that Phil Spencer is still focused on first-party titles as the backbone of Xbox One's success. What does that look like in the future, though? For starters, we'll absolutely see more of the flagship franchises hitting shelves. For example, Microsoft recently spoke out about the Gears of War franchise and said that it would be possible for future games in the series to change genre. The discussion was very open and hypothetical, but it shows that Microsoft is willing to try new things with established worlds and characters. In fact, Phil Spencer commented on the possibility by saying: "At Microsoft, we evaluate all opportunities for our franchises. So, if the right opportunity presents itself, we'll explore that as something we can offer our fans." To me, that says that Microsoft is going to push forward with all the big franchises we know and love, but maybe not the way we remember them. Take Halo Wars 2 for example. This spin off the Halo franchise takes what is normally a first-person shooter and turns it into a real-time strategy game which successful results. 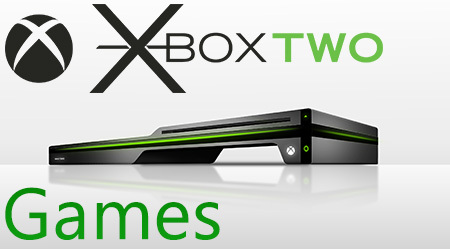 As Microsoft experiments with new franchises, I expect we'll see others evolve and try new things on Xbox 2. The expanded power and the continued creativity of the studios behind these projects will flourish under Phil Spencer's reign as the boss of Xbox. He has shown, time and time again, that he's willing to give new ideas a chance. Next up, we have the indie developers that create games for Xbox Two. Microsoft has embraced the indie scene for some time, but new innovations like the Game Preview program are bringing early access titles to Xbox One as well. Games that were once only playable on the PC like Subnautica, We Happy Few, and The Long Dark, are all making early access debuts on the console for the first time. Then you have other games like Inside (which was temporary exclusive), Below, and Superhot which also showcase Microsoft's willingness to let indie developers try new and innovative things on their platform. Indie developers have come a long way in recent years, and I believe they will find continued success on Xbox Two (Xbox One X). While they may not do their games in 4K, the additional horsepower and the addition of VR could allow them to bring more interesting experiences to the console. Speaking of power, a lot of indie developers are also ramping up their graphical capabilities and showcasing as much power as AAA titles. The Xbox Two/Xbox One X will allow them to realize these visions on something beyond the PC since they will have the power they need on a console for the first time. When Phil Spencer took over as the boss of Xbox, there was a shift in focus. Prior to his arrival, Microsoft always paid to have exclusive access to DLC map packs with Call of Duty and other titles, but now that Microsoft is more interested in focusing on their first-party titles, we're seeing Sony grab these rights for the new Call of Duty entries. Of course, DLC exclusives can also manifest themselves as exclusive content for specific platforms, something that Destiny was guilty of, for example. Ultimately, though, the biggest arguments come from how the game performs on PlayStation versus Xbox. Every time a new game comes out on both systems, comparisons flood the internet. With Xbox One, Microsoft has been chastised again and again for not offering full 1080p resolution in situations where Sony does. This is looking to change drastically with Xbox 2 (Xbox One X) as Microsoft is promising full 4K resolution while Sony's offering on PS4 Pro is an up-scaled version, not a native resolution. Going beyond resolution arguments, let's talk about which game franchises we'll see on Xbox 2 (Xbox One X). For starters, it's almost guaranteed we'll see Call of Duty as Activision's CEO Bobby Kotick has promised that Call of Duty isn't going anywhere. "We've had Call of Duty games played on virtually every console for the last 14 years. So, the idea of having a game that centers around armed conflict through history, you never run out of ideas for Call of Duty games. There will always be Call of Duty games." Activision is one of the largest publishers in gaming, so if the CEO says we'l see COD games, then we'll see them on Xbox Two (Xbox One X) for sure. Similarly, I can't imagine we won't see Battlefield continue onto Xbox 2 as the series has never been stronger. Now, let's talk about VR. Now we reach the new and exciting territory that is virtual reality. With the rise of headsets like the HTC Vive, Oculus Rift, and PlayStation VR, Microsoft has already confirmed that Xbox 2/Xbox One X will indeed support what they describe as "high-fidelity VR." We don't have any confirmation as to which headset they will support, but they've gone so far as to say they won't be using a first-party headset. That leaves us with the options currently available. Signs to point to Microsoft using the Oculus Rift. Virtual reality is still a new concept and it has yet to truly find its legs, but with Microsoft backing it and Bethesda already promising Fallout 4 support in VR, it's safe to say it will be an important part of Xbox Two/Xbox One X. The biggest issue, of course, is going to be price. The cost of today's VR headsets range anywhere from a hundred dollars, all the way up to $799 for the HTC Vive. Combine this with the cost of a console, and you've got a recipe for a very constricted wallet. It will be interesting to see how Microsoft makes this cost-effective for gamers. Next, let's take a look at some of the fallen heroes of Xbox and whether or not we may see them on the Xbox 2 (Xbox One X). It’s becoming more and more difficult to predict what gamers are going to be playing in a years’ time, let alone in 2017 when Xbox One X/Xbox 2 releases. Who could have predicted that Dead Space, after two successful games and even a film and comic series, would stop at just 3 titles due to a major slump in sales? The games were fantastic, immersive, scary adventures with a deep story, great gameplay and stunning visuals – everything gamers want to play. So why did nobody play it? Or what about the Xbox exclusive Alan Wake? A critically acclaimed title with a follow up arcade game that has been left dead in the water despite solid sales. Games like these sometimes come up in conversation with developers, and they always seem hopeful that things will turn around, but it's almost impossible to know for certain. The worst part is when you see content from the game that could have been. For example, a recent prototype was released for Alan Wake 2 showing where the team was taking the sequel, but as of right now it’s not actively in development. As one of my favorite games, I’m holding onto the hope that it will happen (much like Half Life 3). Of course, you have plenty of other games that fizzled and burned out, or never saw the light of day, and you have to wonder what other ideas have been left on the cutting room floor. One final example if you’ll humor me: Phantom Dust. This was an incredible game for the original Xbox that was set to get a reboot on Xbox One with an announcement at E3 2014. Naturally I was pumped, but recently it turned out that the studio behind the game was shut down and the game was thrown to the wind. Microsoft says they’re still going to make it, but I’m not holding my breath. Do you know why it was shut down? They needed more money to finish the game. You see, this leads us to a problem with the game industry that I’ll get to momentarily. The short preview is this: the industry leans heavily on titles that are guaranteed to sell. Let’s take a look at some of the surefire franchises we’re going to see on Xbox 2/Xbox One X.
Money-Grabbing Tactics: Who’s to Blame? That’s the crux of the industry though, isn’t it? As long as the numbers are where the publishers want them to be, the games will continue to flow like water. If something dips, well, it’s sinara for that series and probably all of the hardworking people who made it. It’s a sad truth, and publishers are turning to arbitrary means of making these life-changing decisions by looking to websites like Metacritic that show an average of review scores. If the average is below X number out of a 100, you can kiss your sequel goodbye. This is nothing new though. Game publishers like EA and Activision have become more and more bloated as the generations pass. Remember the era of online passes? You needed a code to play a game online, so if you bought it used you had to buy a new code? Greed based practices like these come and go, but they’re all just means of testing the consumer to see how far we’ll bend before we break. Turns out we’ll bend pretty far. Online passes went away when people fussed about it, but now we have things like micro-transactions and season passes that have you paying almost as much as you paid for the game to receive new content, some of which honestly should have been in the game to begin with. We buy it though, and the companies continue to find new ways to squeeze out every nickle and dime they can. The latest target has been WB Games with their releases of Mortal Kombat X and the upcoming Batman: Arkham Knight. The former game has over $60 of DLC, half of which is the season pass. Arkham Knight? A $40 season pass. We always worried that games would cost $100 and now they do. This phase my pass too though, but not unless people stop buying it. I’m all for DLC, but there’s a limit to how much can be separate from the game and how much you can charge for it. One option is to turn to free-to-play games that allow you to get the base experience for free and pay for new content a la carte. Not bad, but you end up spending way more than $100 typically. Are Indie Developers The Future? Here’s an interesting thing to consider: what if indie games are where everything is headed? What if more titles are funded through services like Kickstarter and big publishers like EA and Activision suddenly go under? I doubt it will be that fast, but people are starting to notice that we don’t absolutely need big name publishers to make a successful title. With marketplaces like Steam and now Microsoft’s marketplace welcoming independent developers with open arms, these smaller, cheaper, and more innovative titles are finally seeing the attention they deserve. They may not always have the best graphics, but they always have great ideas. That’s because these developers are willing to try something new, and that’s what this industry needs. Unlike big name publishers, they don’t have the extra time or money to make a gamble, but they do it anyway. They lay all of their cards on the table and leave the rest to fate. As a result? They typically (but not always) find success. Ultimate the hardware decides the foundation. If the Xbox 2 ditches the controller for virtual reality and the HoloLens or a Kinect-based experience, the developers and publishers will be forced to innovate accordingly. For now, we can assume that certain “immortal” franchises will most likely see release on Xbox 2 (Xbox One X), but their lifespan is only as long as their usefulness. Beyond these major players, only time will tell as developers bring about new concepts and game designs. One thing is certain: Microsoft's willingness to embrace new ideas will be a great boon for the continued success of titles on Xbox 2/Xbox One X. What do you think? What games will we see on the Xbox 2? Are indie games taking over? Tell us your thoughts in the comments below!